Guest Contributor KERRI MCCAFFETY is an award-winning photographer and author known for capturing the true essence and beauty of New Orleans. 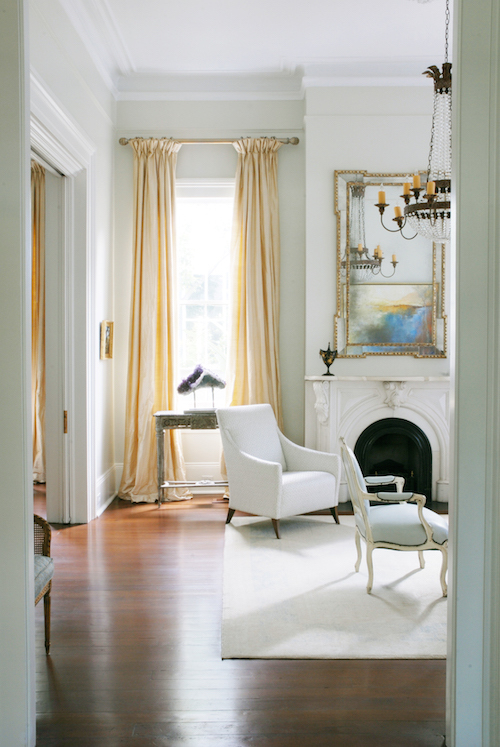 NEW ORLEANS — Rodney Villarreal designed a home in Uptown New Orleans among lofty live oaks to be an oasis in the lives of the busy homeowners. 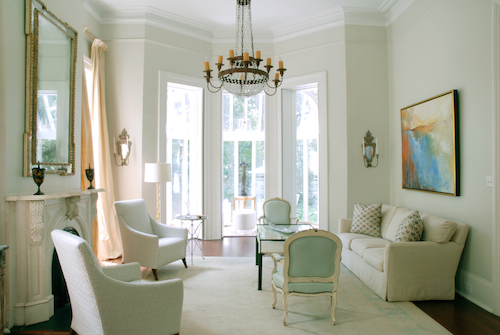 Always on the run between Houston and New Orleans, this couple wanted a space that would make them say “Ah,” when they walked in the front door, a place to relax the soul and mind. The cool gray walls invite you in from the heat. Buttery yellow draperies and soft accents of blue and green echo the hues of nature. Villarreal reupholstered family pieces and blended old and new. 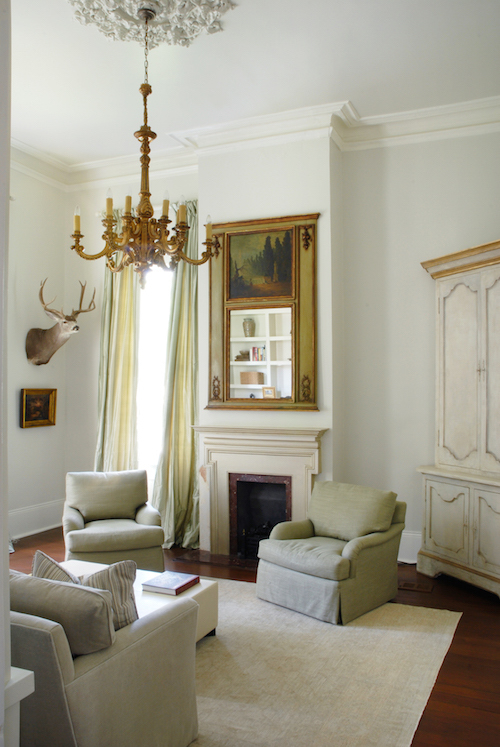 French antiques and Louisiana landscapes give the home a Creole flair and the grand proportions of the architecture, with its 14-foot ceilings, reflect its Antebellum age. In the big, serene living room, Villarreal created intimate seating areas that can be transformed into larger areas for entertaining. 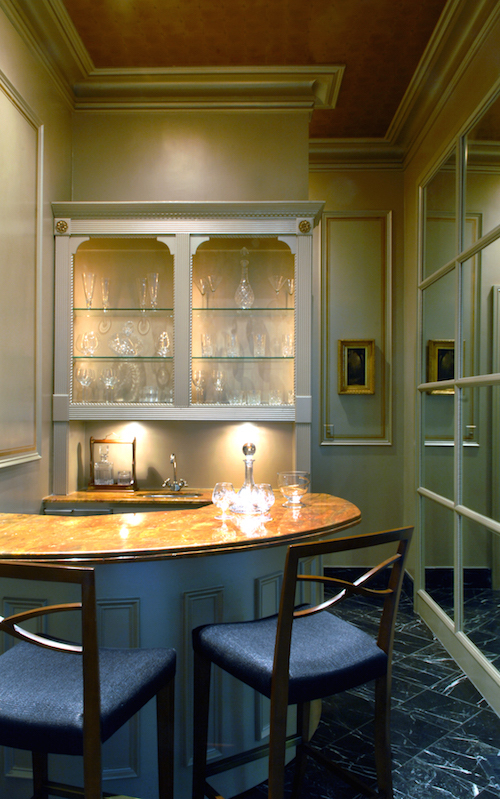 DESIGNER TIP: To tune in to his clients’ tastes, Villarreal asks questions that help build his pallet. “Are you an indoor or outdoor person? Do you prefer sunny or rainy days?” He also peeks inside their closets for color choices. “Whatever colors a woman looks gorgeous in should be the colors surrounding her in her home,” says Villarreal. 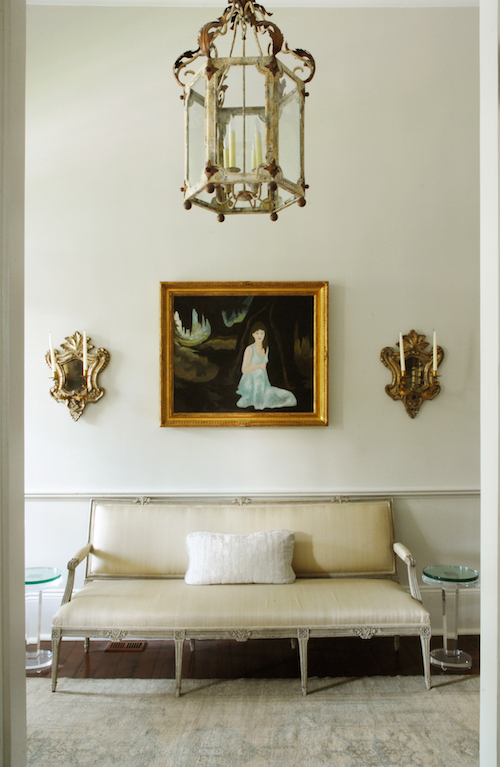 In the entry hall, artwork by George Rodrigue hangs above an antique settee. 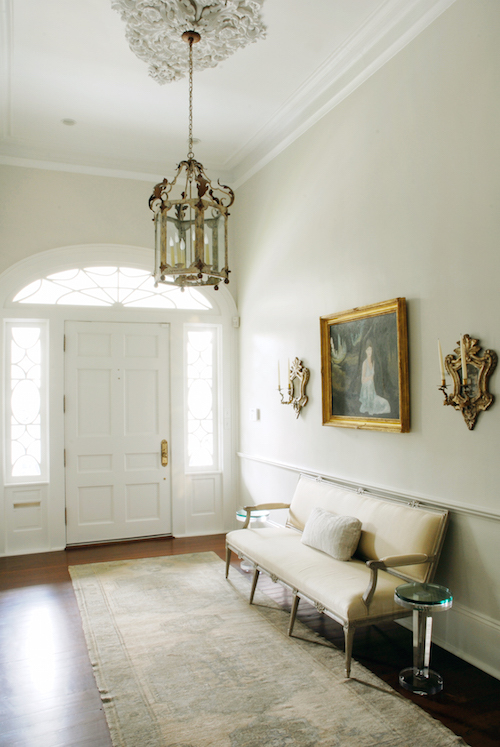 The entry hall and its dramatic 14-foot ceiling. 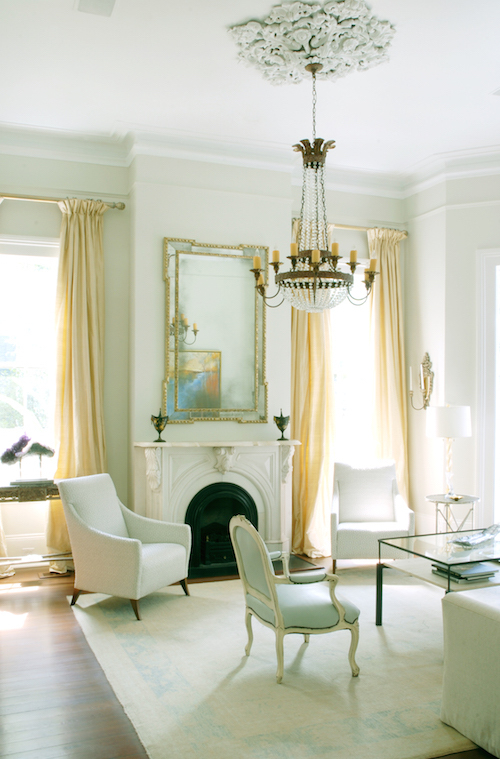 Yellow draperies frame oversized windows and enhance the mix of furnishings in the living room. Look closely to spy the modern painting by Kathleen Earthrowl in the antique mirror. 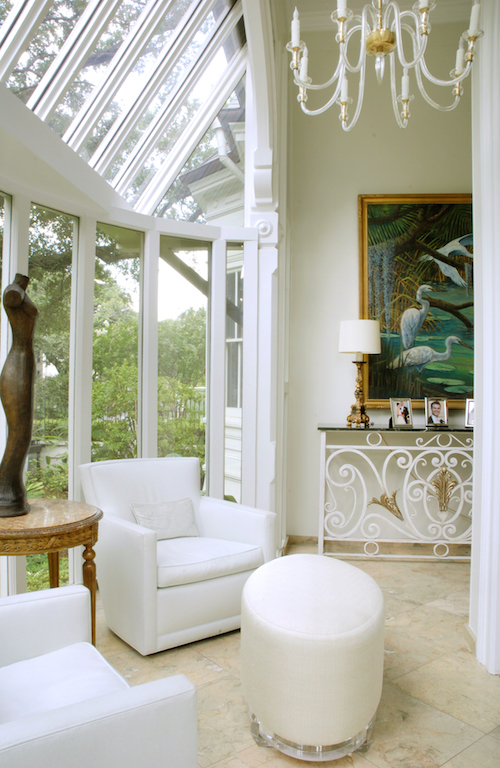 In the solarium, a commissioned Louisiana swamp painting by Michael Gray. 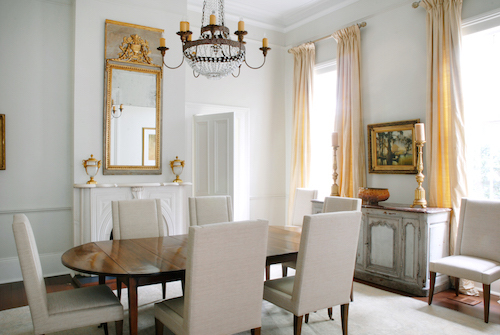 The dining room filled with French antiques, mirrors and lighting. 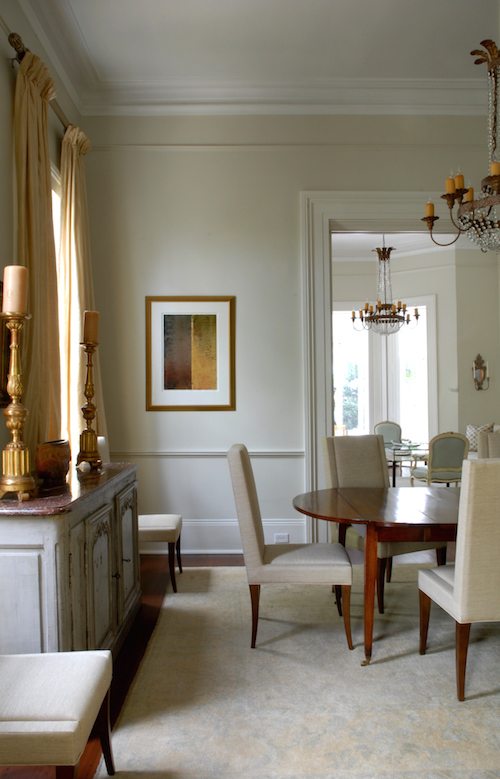 In the dining room, statuesque antique candlesticks and a marble-topped buffet. The study decorated with pillowy furnishings so the couple can relax. 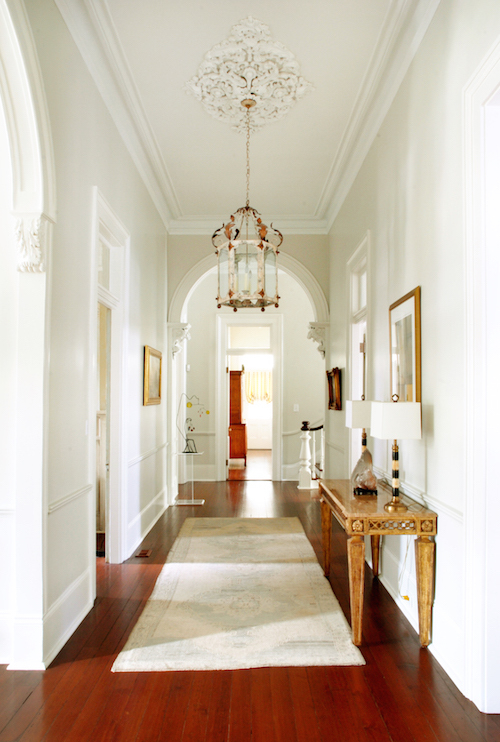 This view of the hallway allows you to see the architectural elements in the home. Villarreal created a beautiful bar area with French windows. 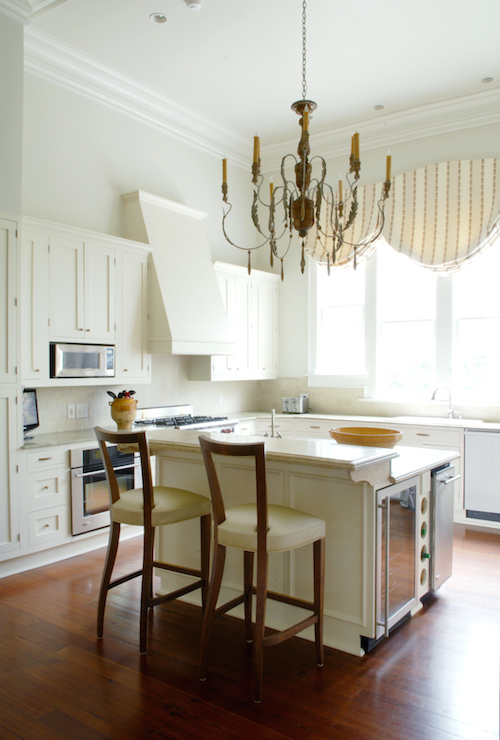 The kitchen was updated with all the modern amenities essential for entertaining. 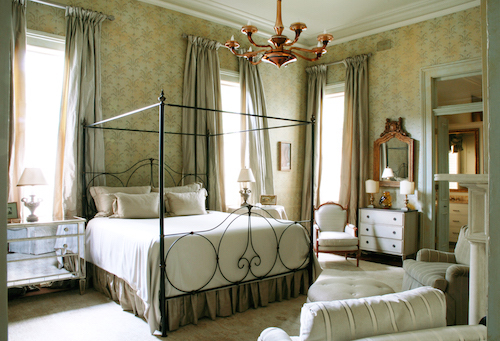 The master bedroom features a dramatic four-poster bed and Murano glass chandelier. 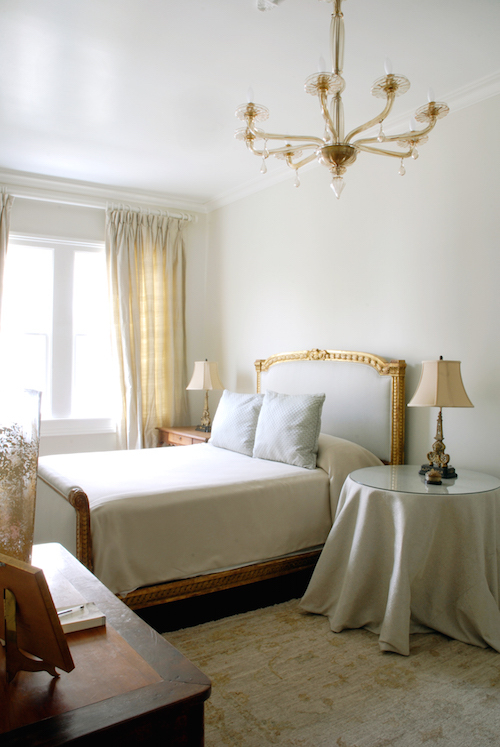 The guest room with antique bed, chandelier and dresser. And a hidden nook with a window seat for guest relaxation. For more Kerri McCaffety: Read New Orleans New Elegance and visit here. For more Rodney Villarreal: visit his website here. © Zavvi Rodaine and Kerri McCafffety 2016. No part of this article may be copied, posted or reproduced in any manner without the express written consent of Zavvi Rodaine or Kerri McCaffety. All rights reserved.